April 2 is World Autism Awareness Day. Every year, autism organizations around the world celebrate the day with unique fundraising and awareness-raising events. How will you celebrate? International violist Nguyet Thu, mother of a child with autism, would like to show her support for World Autism Awareness Day by bringing her music and her stories to the public. By this way, she hopes to help children with autism to be completely integrated into our society. The goal of the concert is to give 10 full musical scholarships to ten young talents with autism. These talents will have an opportunity to further explore the world of arts with support from society. 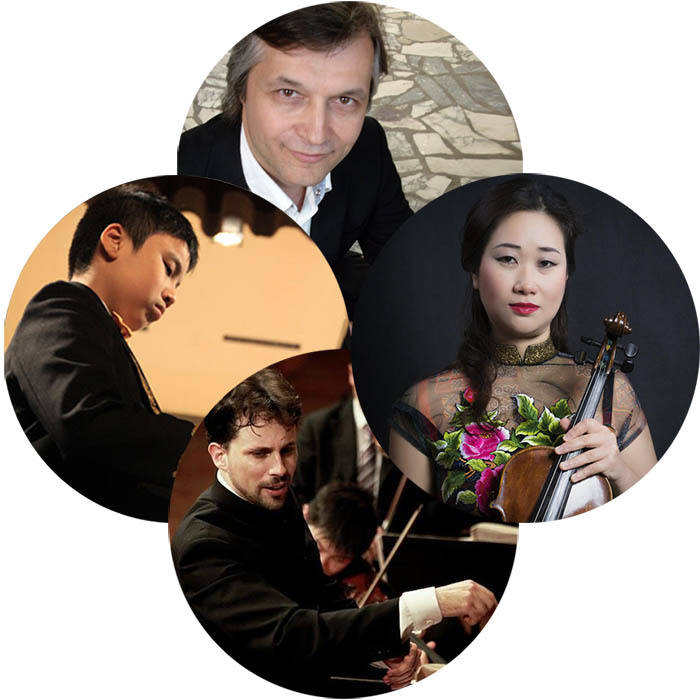 This year, on the occasion of World Autism Awareness Day, Nguyet Thu will perform a series of three concerts with the participation of many talented international and local artists to raise funds for children with autism. The program will include an auction of a party gown from IVY Moda. She has lived and worked abroad for 26 years. She’s currently based in Vietnam but still performs abroad. She has won many international awards, performed solo in many countries and played viola in 7 orchestras in Russia, Sweden, Spain, Spain, Portugal, Singapore, Brazil, Qatar, etc. She has opened 5 art schools to find autism talents in Vietnam. These concerts aim to raise the fund for children with autism. He has won international concours contests since 9 years old. His autism syndrome has improved thanks to his professional music practice. A legendary leading violist in orchestras. The best violist in Vietnam (also the teacher of Nguyen Nguyet Thu). A famous soloist who has performed around the world. He founded a Filipino orchestra and performed in many countries around the world. He has been conductor of many orchestras in the world such as Germany, Hungary, China, etc.